For the past several months, I’ve been part of the #30DayFlip Challenge, hosted by Jeanette from Snazzy Little Things and Meredith from Arts and Classy. It’s been a thrill to be part of this group and to see the amazing transformations that other members have worked on. The group has grown exponentially over the last couple of months, and I am honored to now take on a more active role in the group, as the official round-up writer of the monthly challenges. This round-up will feature all the transformations completed by the group members, that have also posted their projects on the Hometalk website with the #30dayflip. There were some truly inspiring projects completed for the month of September by some very talented ladies, from DIY enthusiasts to seasoned bloggers alike. The challenge for September was to transform a furniture piece from a thrift store into something new and improved, and the members certainly did not disappoint. Let’s start with Colleen from Our Treasured Life. Her husband couldn’t resist this cute roadside find, and brought it home for some much needed TLC. The mice and kittens are definitely cute, but they had to go. The box was sanded down to the bare wood, and the top finished in an ebony stain. The rest of the box was painted in a white latex paint, and a tinted wax was then used to dull the stark white paint. 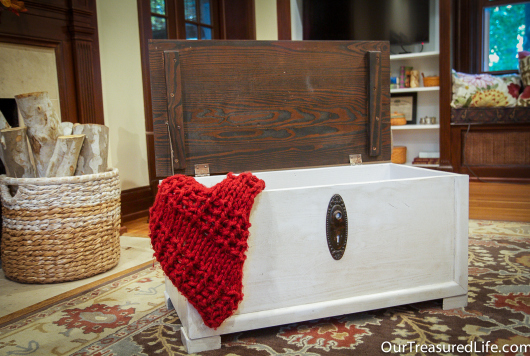 My favorite thing about this gorgeous blanket box is the antique door plate that was added to the front. Our group member, Cathie’s transformation is simply amazing. This old antique washbin/chest from the 1940’s was damaged and in much need of some love. Cathie added a scented additive to the paint she used on this piece, as it had a very musty smell to it. What a genius way to get rid of that yucky smell we all know from furniture that have suffered decades of neglect. One of the original handles was broken, but Cathie had a very similar pull in her stash. Once re-installed on to the piece, the detail and beauty of the drawer pulls now stand out against the “antique lace” distressed finished paint. The inside of the chest was painted a coral tone, which compliments the drawer pulls. Caroline from Lessons from the Lake transformed this ugly old light fixture into a beachy rustic piece that anyone would love. She was able to remove the glass from the frame, and spray painted the metal pieces in a hammered nickle finish. She then used wooden shims stained in a white/grey tone and reattached them to the outside of the fixture. I LOVE this piece, and what a brilliant idea to use shims!!! Wow!!! This would look amazing in any cottage, porch or even a beach inspired bathroom. This next transformation was completed by DIY enthusiast, mommomlab, who breathed new life into this dresser with contrasting paint colors. The curvy drawer fronts and trim were painted in a white finish, while the sides and top were done in a gorgeous grey tone. I’m a sucker for anything cream and grey, and would LOVE this piece in my home. Lol!!!! The original pulls with their leafy detail were re-attached and now look amazing against the white drawers. This feminine and curvy dresser would look perfect in a little girls room, or a French country inspired bedroom. This stunning fireplace upcycle was completed by Emily from Our House Now a Home. The fireplace was a thrift store find, and didn’t quite blend with Emily’s decor. After several coats of white paint, and some inexpensive peel & stick tiles, it was completely transformed. Now the fireplace is clean, sleek and modern. I’m loving that black and grey accent chair next to the newly finished fireplace. Great job, Emily!!!! This large buffet was resurrected by Allison from Refunk My Junk, and I think I’m in love….. Like seriously…. I want to go buy something right now and paint it in this same lovely deep blue tone, called Naval from Heirloom Traditions Paint. Here is the piece in it’s original state. Allison picked it up for a cool $25 at a garage sale. What a score!!!! After several coats of paint, and the hardware being sprayed a metallic gold, this statement piece would command any room, like a boss 😉 I just love how the new color makes all that gorgeous trim work on the drawers stand out. They were first painted with a grey milk paint, and then a dark decorative glaze was applied to bring out all the distressed edges. Any homeowner would now be proud to own these adorable twin end tables. This next project is absolutely stunning. One of our talented group members, Christina, completed this flip after she made a bet with her husband. The deal was that if she couldn’t make him love this piece, it had to go. Game ON!!!!!!! Here is the dreaded “Before” pic. The piece was old, damaged, and looked like it had an upcoming date with a dumpster. Christina painted it a gorgeous navy tone and added a wooden top and cute pulls to give it a nautical feel. I just love the raw wood top with the decorative screws. 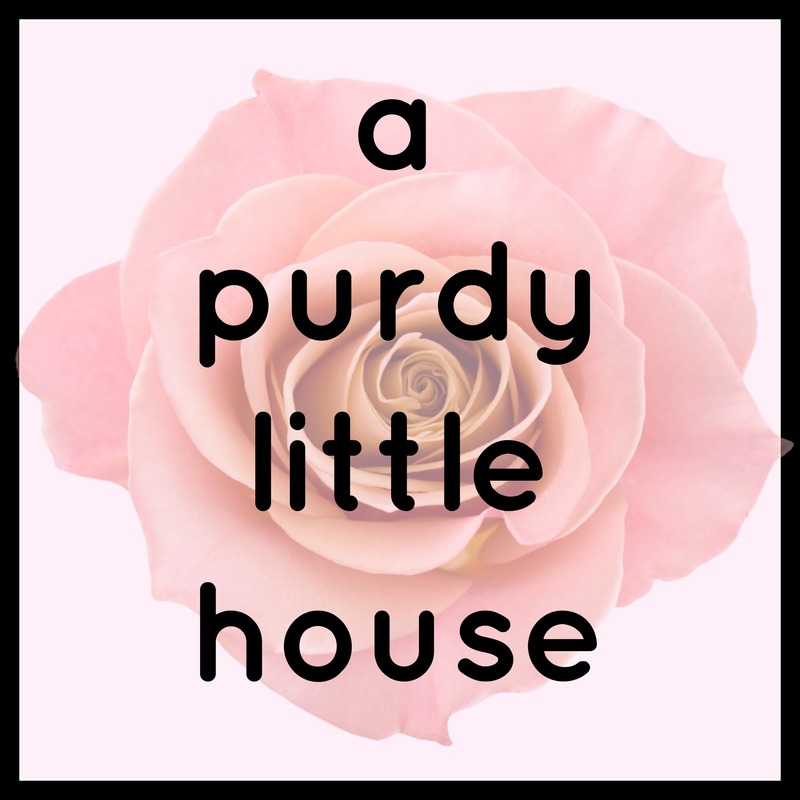 The next project being featured is from blogger Susie. You can check out her amazing project on her blog at The Chelsea Project. Last spring, Susie refreshed the eating area in her kitchen, and was determined to find a plate rack for above her gorgeous buffet. But Alas….. None such plate rack could be found. So Susie took matters into her own hands and decided to make one…. and WOW!!!!! It turned out absolutely amazing. I love it. This is the planning phase of the her project. Susie used bead board on the back of the plate rack to help give it some texture and dimension. I just love these shallow shelves, and they are perfect to displaying seasonal decor and everyday items alike. What a fabulous project Susie. Thanks so much for sharing 🙂 We’re looking forward to seeing what you do next. Thank you so much to all the DIYers and bloggers who contributed their projects the September #30dayflip challenge, by featuring their work on the Hometalk website. If you’re looking to join the party, click on the link below for the challenge rules, and don’t forget to post your project on the Hometalk site, with the #30dayflip, in order to be eligible for your project to be featured. See you next month, where I’ll feature the completed October #30dayflip Challenge projects, and the topic is: “Room Refresh”.